Third, that it was the dangerous accumulation of ice and snow that caused the plaintiff to fall. 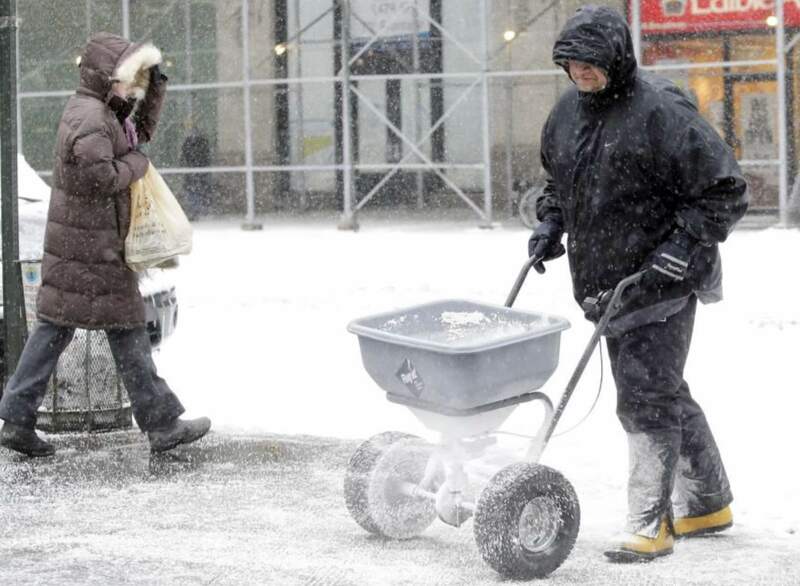 This rule protects property owners during snow or ice storms by giving them a reasonable period of time to clear their sidewalks. This protects them from liability if the fall happens during or shortly after the storm. In a Pennsylvania Slip and Fall on Snow or Ice case, the injured party will have the burden of proving the unreasonable ridges or elevations (also known as hills and ridges), either by photographs or testimony. The injured party also has the burden of proving that the time between the storm and fall was long enough that the property owner should have discovered and corrected the slippery condition. Looking at the photograph above there is appears to be evidence of some Hills and Ridges that could cause a slip and fall accident. 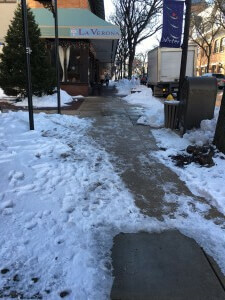 In addition, given that the photograph was taken well over 24 hours after the end of the January 24,2016 Blizzard in Kennett Square, there is strong evidence that the property owner knew or should have known of a dangerous condition. 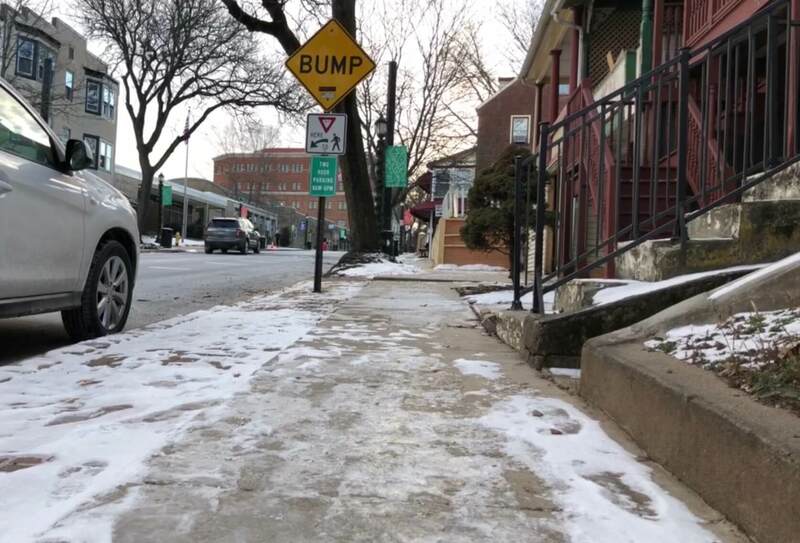 Here are a few tips for injured victims of Slip and Fall accidents on snow and ice in Pennsylvania. Number one, if you fall, be sure to photograph the condition that caused the fall. Number two, be sure to report the fall to the property owner and the police if possible to document the date, time, location and happening of the fall. Number three, seek legal advice as soon as soon as possible in order to protect your legal rights. 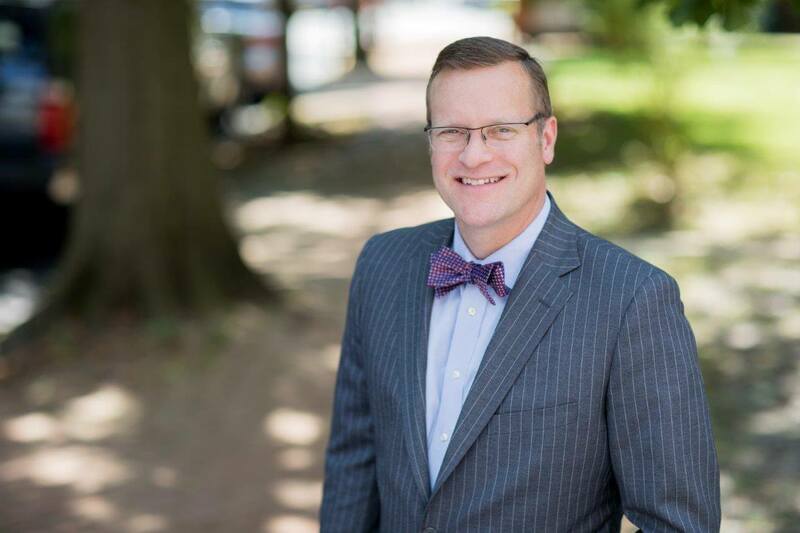 Tim Rayne is a Pennsylvania Slip and Fall Lawyer with the law firm MacElree Harvey. For over 20 years, Tim has been helping injured victims of Slip and Fall accidents receive fair treatment from insurance companies. Tim has offices in both West Chester and Kennett Square. For more information about your legal rights and right to make an insurance claim after a Slip and Fall accident on snow and ice in Pennsylvania, contact Tim Rayne at 610 840 0124 or [email protected] or visit Tim’s Website.